Owning to years of experience in the industry for retailing we are engaged in offering quality range of Anti Hiv Drugs. Our professionals strictly follow the industrial hygienic standards to manufacture these products so that nothing is left to reach the satisfaction of the client. 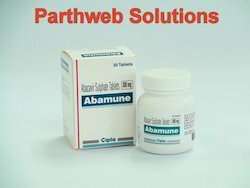 Abamune 300mg tablet is used to treat HIV infection. 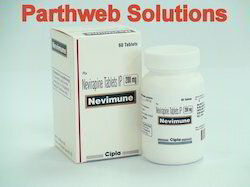 It prevents multiplication of HIV virus in human cells,Thus it stops the HIV virus from producing new viruses. 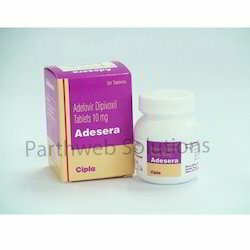 Adesera 10mg is used for treatment and prevention of Human Immunodeficiency Virus (HIV) infection and hepatitis B infection.. This medication helps to stop the HIV virus from producing new viruses and prevents its multiplication. 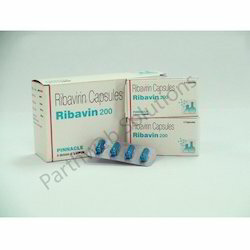 Ribavin 200 mg capsule is a medication used for the treatment and prevention of chronic hepatitis B infection. This medication helps to stop the virus from producing new viruses and prevents its multiplication. 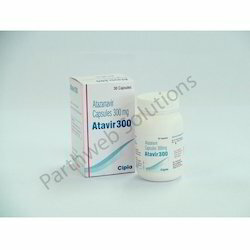 Atavir 300mg tablet is a medication used for the treatment and prevention of Human Immunodeficiency Virus (HIV) infection in adults. This medication helps to stop the HIV virus from producing new viruses and prevents its multiplication. 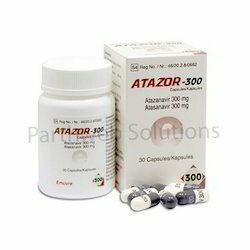 Atazor 300mg tablet is a medication used for the treatment and prevention of Human Immunodeficiency Virus (HIV) infection in adults. This medication helps to stop the HIV virus from producing new viruses and prevents its multiplication. 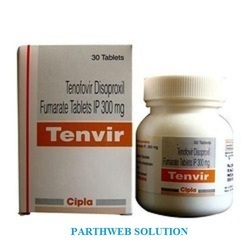 Tenvir 300 mg tablet is a medication used for the treatment and prevention of Human Immunodeficiency Virus (HIV) infection in adults . It is also used to treat hepatitis B infection. This medication helps to stop the HIV virus from producing new viruses and prevents its multiplication. 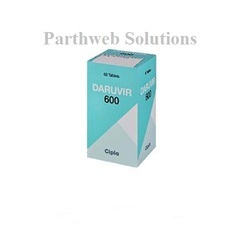 Daruvir 600mg tablet is used for treatment and prevention of Human Immunodeficiency Virus (HIV) infection. This medication helps to stop the HIV virus from producing new viruses and prevents its multiplication. 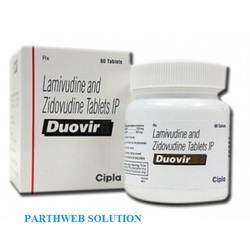 Duovir Tablet is a medication used for the treatment and prevention of Human Immunodeficiency Virus (HIV) infection .This medication helps to stop the HIV virus from producing new viruses and prevents its multiplication. 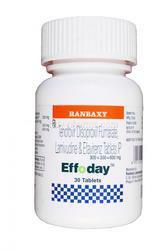 Efavir 600 mg tablet is used for treatment and prevention of Human Immunodeficiency Virus (HIV) infection in adults. This medication helps to stop the HIV virus from producing new viruses and prevents its multiplication. 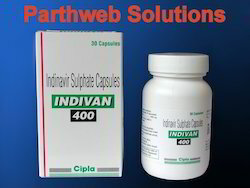 Indivan 400mg tablet is used for treatment and prevention of Human Immunodeficiency Virus (HIV) infection. 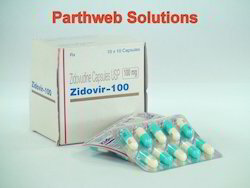 This medication helps to stop the HIV virus from producing new viruses and prevents its multiplication. Synthivan tablet is used for treatment and prevention of Human Immunodeficiency Virus (HIV) infection in adults. It is used along with other medicines for HIV. This medication helps to stop the HIV virus from producing new viruses and prevents its multiplication. 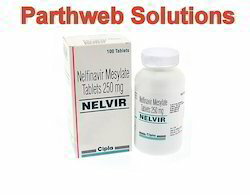 Nelvir 250mg tablet is used for treatment and prevention of Human Immunodeficiency Virus (HIV) infection. This medication helps to stop the HIV virus from producing new viruses and prevents its multiplication. 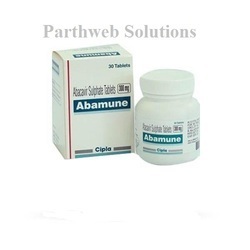 Ziagen,Abamune tablet is used for treatment and prevention of Human Immunodeficiency Virus (HIV) infection. This medication helps to stop the HIV virus from producing new viruses and prevents its multiplication. 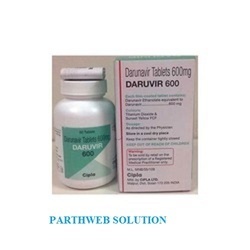 Daruvir 600mg tablet is used to treat HIV infection. 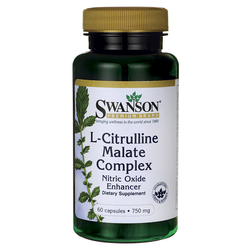 It prevents the multiplication of HIV virus in human cells, thus it stops HIV virus from producing new viruses. 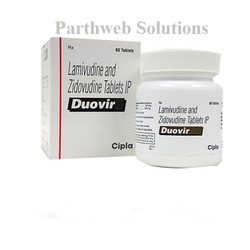 Duovir tablet is used to treat HIV infection, chronic hepatitis B virus infection. 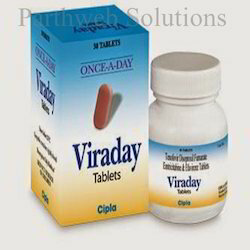 It prevents multiplication of HIV virus in human cells thus it stops the HIV virus from producing new viruses. 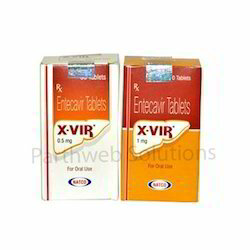 X-VIR is indicated for the treatment of chronic hepatitis B virus infection in adults with evidence of active viral relication and either evidence of persistent elevations in serum aminotransferases (ALT or AST) or histologically active disease. This indication is based on histologic, virologic, biochemical and serologic responses in nucleoside treatment naïve and resistant adult subjects with HBeAg-positive or HBeAg-negative chronic HBV infection with compensated liver disease. 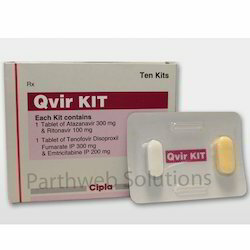 Each Qvir KIT contains two tablets – one fixed-dose combination tablet of atazanavir/ritonavir and one fixed-dose combination tablet of emtricitabine/tenofovir disoproxil fumarate. 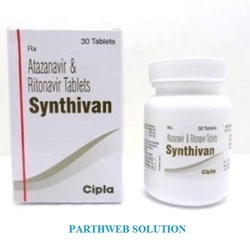 Atazanavir and ritonavir belong to the class of protease inhibitors and act by inhibiting protease enzyme. 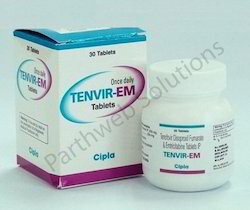 Emtricitabine and tenofovir disoproxil fumarate belong to the class of nucleoside reverse transcriptase inhibitors and act by inhibiting the reverse transcriptase enzyme. 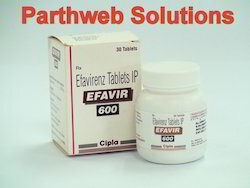 Emtricitabine Tablets containing the 2 active ingredients tenofovir disoproxil fumarate and emtricitabine is considered a nucleoside reverse transcriptase inhibitors (NRTIs) type of medication. The medication works by controlling and preventing the HIV cells from multiplying in the body to help the immune system work better. Valganciclovir Tablets are used for treating cytomegalovirus (CMV) infection of the eye in patients with acquired immunodeficiency syndrome (AIDS). 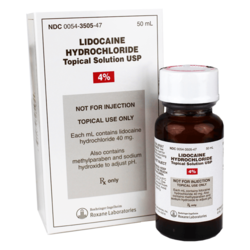 It is used to prevent CMV disease in high risk kidney, heart, and kidney-pancreas transplant patients. It may also be used for other conditions as determined by your doctor. 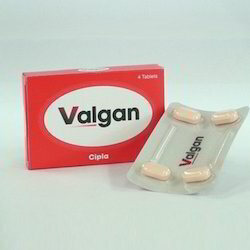 Valganciclovir is an antiviral agent. It works by stopping the growth and reproduction of the virus. 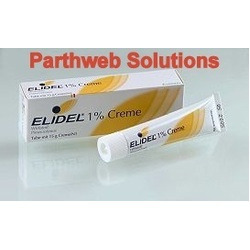 We have gained immense experience in this domain by trading and supplying Elidel (Pimecrolimus Cream). Our creams work by decreasing your body's immune system to help slow down the growth of atopic dermatitis (eczema) on your skin. Also, our offered creams are used to treat severe atopic dermatitis (eczema} when other medications have not worked well. We are giving these creams to our customers in a given time frame. 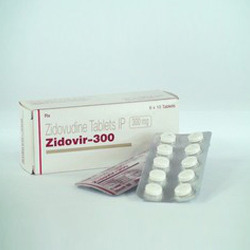 Zidovir 300mg Cap that is provided in tamper proof packaging. Used for treating HIV infection, the proffered batch works by restricting the activity of HIV-1 reverse transcriptase (RT) via DNA chain termination, after incorporation of the nucleotide analogue. Owing to the precise chemical composition and effectiveness, the batch is vastly sought after.